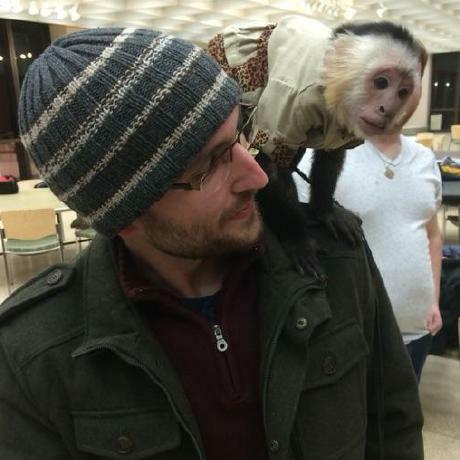 David Brooke Wetzel is currently an adjunct professor at Loyola University Chicago, teaching both music and computer science courses. He is a classically trained clarinetist and bass clarinetist with interests in the traditional clarinet literature, contemporary music, collaborative multimedia, and interactive electroacoustic music. 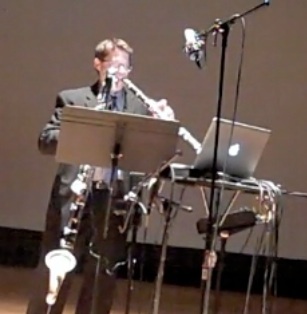 David holds degrees in both clarinet performance (DMA, University of Arizona; B.Mus. Lawrence University) and computer music performance and concert production (Peabody Conservatory). Griffin Moe is a computer science graduate student at Loyola University Chicago studying the overlap between CS and music. Griffin wrote the original syllabus for COMP122 during his undergraduate studies at Loyola. His research areas include digital signal processing, functional programming, and category theory.